It’s been a while since I’ve put together a Thursday Thoughts post and because I have a bunch of behind-the-scenes bits stored up, today seems to be a great day to share! First things first, I am conducting a Reader Survey complete with an $100 Amazon Gift Card giveaway. The survey/giveaway runs through June 18, 2015 so please head over and share your thoughts about Jelly Toast and be entered for a chance to win. Thank you!! 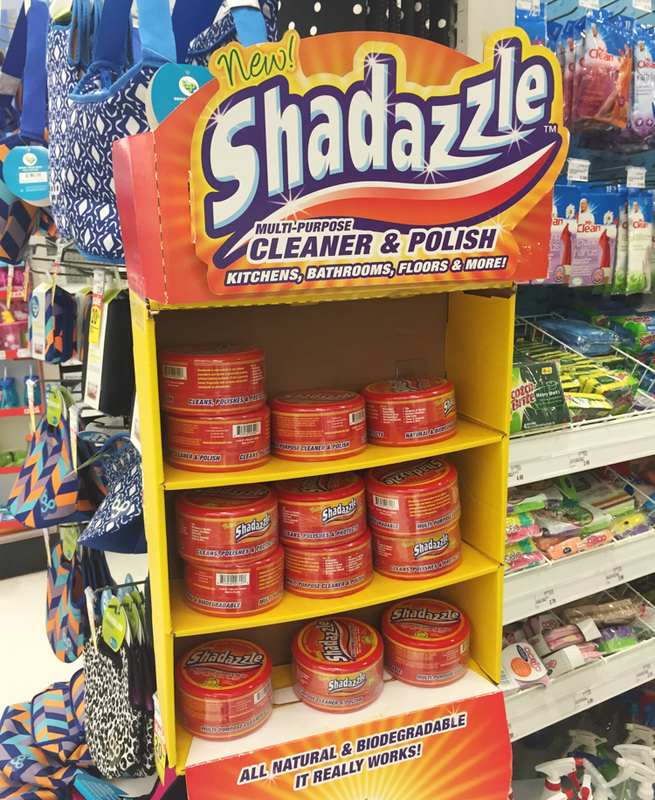 So…Shadazzle. I enjoy funny words. The other day while wandering through Meijer I saw this display and laughed out loud. Not just the texting version of “lol” but actually laughed. Out loud. I’ve been trying to curb my impulse purchases, particularly those based on something as insignificant as a comical name. That being said, I’m dying to know if this stuff actually works and if I could justify a purchase in order to have it in my linen closet. I’m weird. Have you tried it? 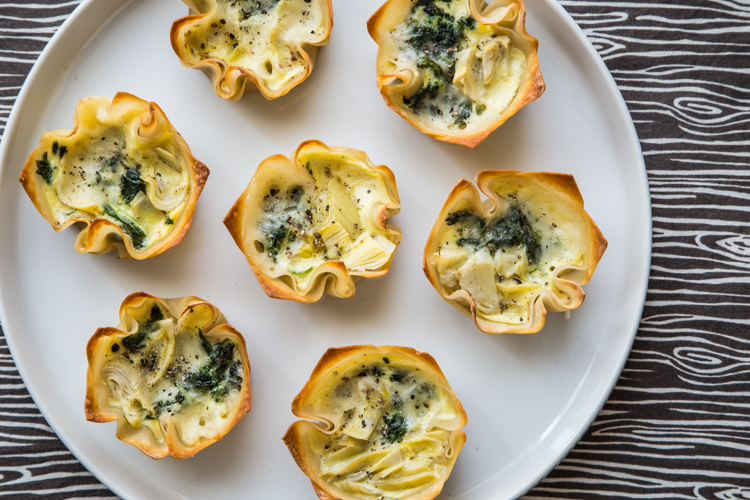 These Spinach Artichoke Mini Quiches with Crispy Wonton Crusts – these were delicious hot for dinner, but we also found we were eating the leftovers straight out of the fridge the next day. Who knew? 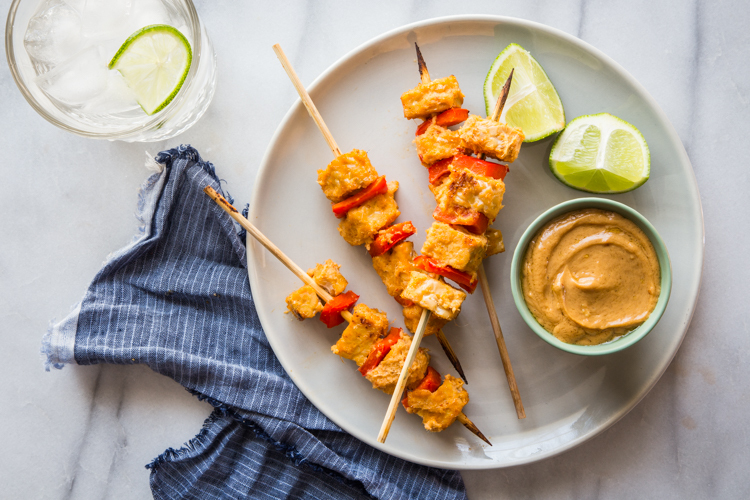 Tempeh Satay with Peanut Dipping Sauce – Full disclosure: I didn’t use peanut butter for this recipe because of C’s allergy. We don’t keep peanut butter in the house, but I subbed out Wowbutter and it was delicious! 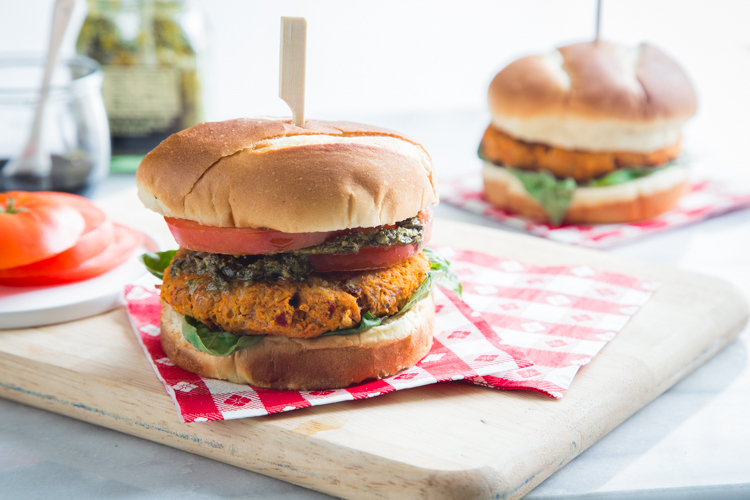 Tomato Basil Veggie Burgers – These were packed full of flavor. You definitely need to be a fan of sun-dried tomatoes because that is the predominant flavor in these burgers. Luckily, we all are and they were great! 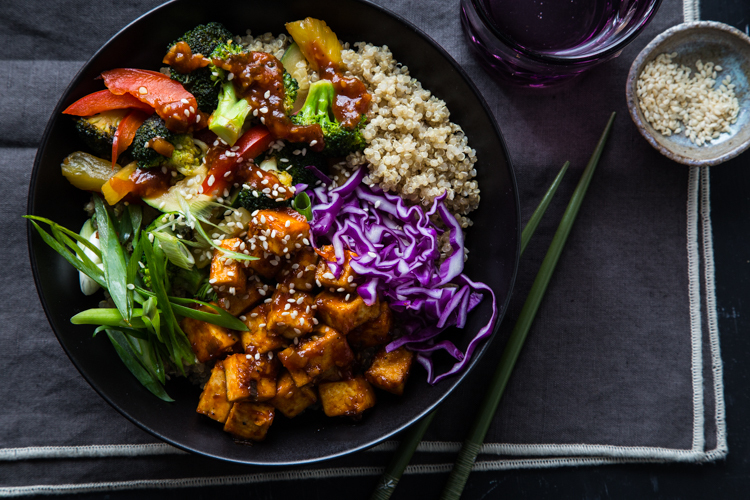 Korean Barbecue Tofu Bowls with Stir-Fried Veggies and Quinoa – This recipe is a knock out! I’ve made it several times since photographing it, and it is just so delicious. The colors and textures get me every time and I would put that sauce on just about anything. 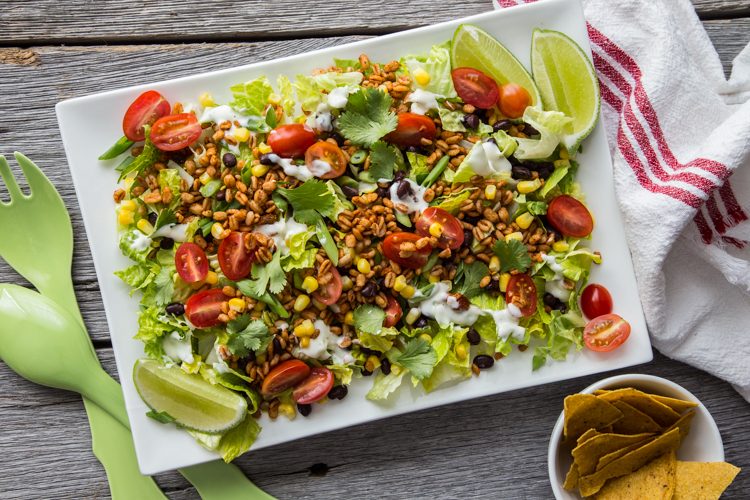 The Ultimate Vegan Taco Salad – We make tacos and taco salads all. the. time. Which is weird because I hardly ever post about them. That will need to change. Ever since trying this Farro taco ‘meat’ we have been making this quite a bit at home. I will use different combinations of grains, depending on what I’ve got laying around. Sometimes I’ll add a can of black beans to the ‘meat’ mixture itself to add a bit more heartiness. This recipe was a game-changer for me. 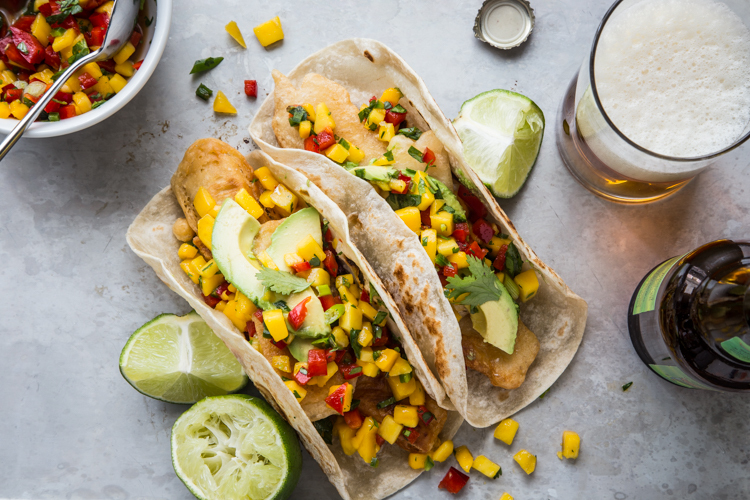 Speaking of tacos, these Beer Battered Tofu Tacos with Mango Salsa were surprisingly easy to make. I’m not a frequent fryer and sometimes get nervous about what it involves. The tofu battered beautifully and the frying step was a breeze. Much less work than I had anticipated. Plus, this salsa was heavenly. There are quite a few more that I’ve made and photographed, but these were some of my very favorites. 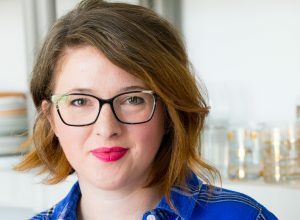 In addition to my photography work for Oh My Veggies, I’ve been creating recipes and photographs for the blog, Hello Natural. 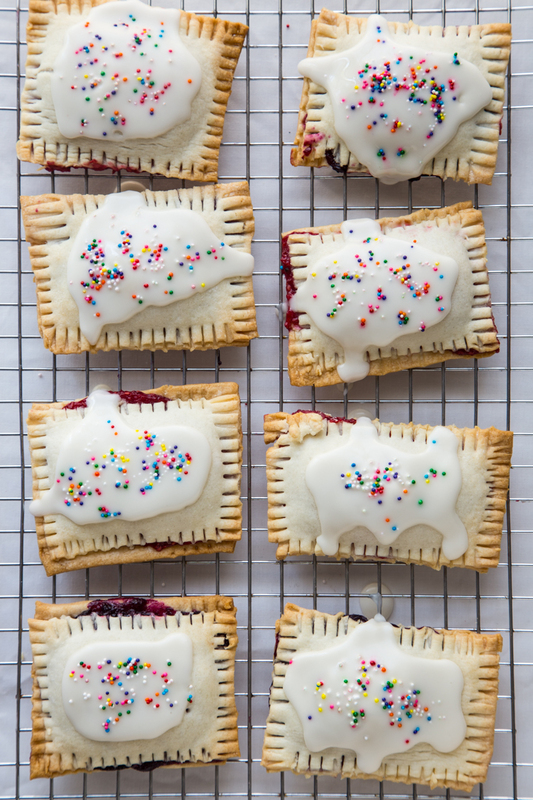 Homemade Pop-Tarts with Real Fruit – My kids went a little crazy over these little tarts. Simple and sweet! 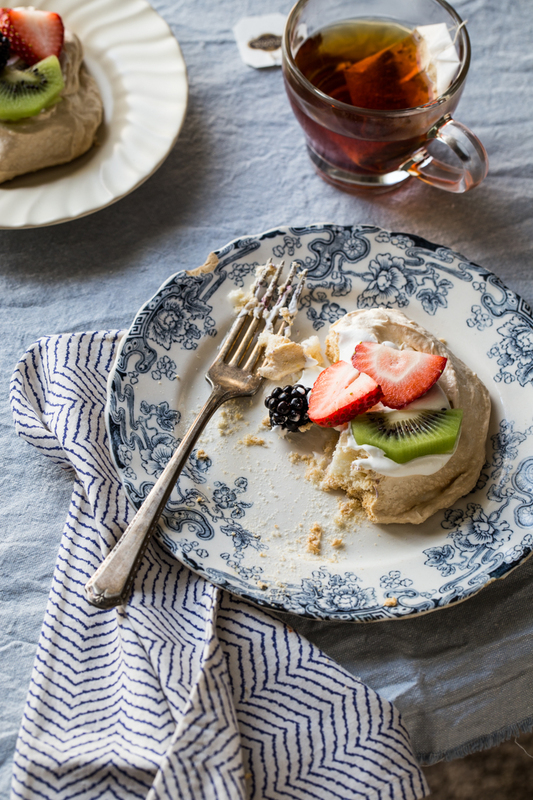 Easy Pavlova Recipe with Fresh Berries and Kiwi – I love pavlovas (or meringue nests). They are great for spring and use just a few ingredients. Top them with whatever fruit you’d like. They are so versatile! I recently also created and photographed some new Summer recipes for Zoku‘s blog. 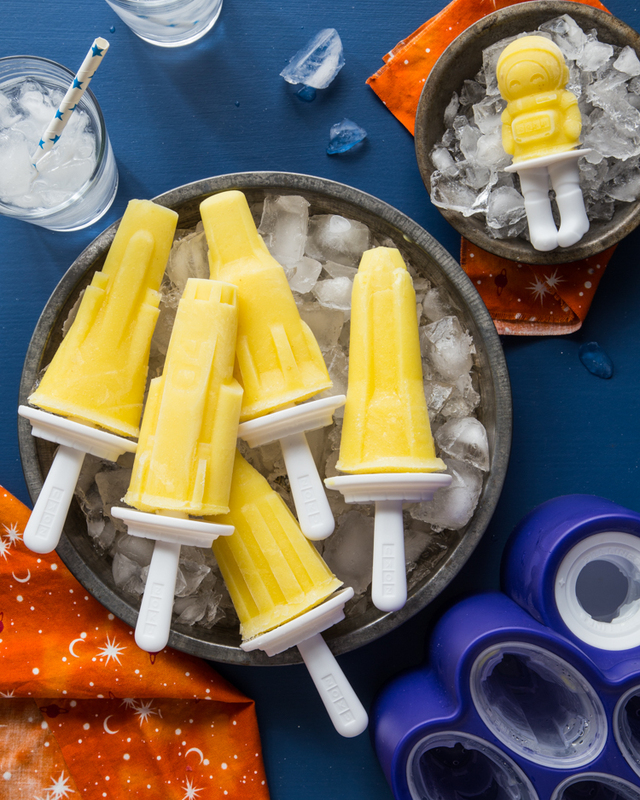 These Pineapple Space Pops were so simple to make (only 3 ingredients) and both the kiddos loved them! There are a few more popsicle recipes, in addition to the iced coffee and blueberry cardamom ice cream) going up this summer and I’ll be sure to point them out as they go up on the Zoku blog. The winners for The Life-Changing Magic of Tidying Up book giveaway have been chosen and contacted and have yet to hear from the last of the three winners. If you entered but didn’t hear from me, please check your email! I’ll need to choose a new winner if I don’t hear back. I will be back with more house updates and I’ve got some great plans for easy Summer dinners coming up. Again, be sure to stop by and fill out my Reader Survey as I’d love to know your thoughts on what you love, what you don’t love and what you’d like to see on Jelly Toast in the future.